Church Wharf Cars is a specialist MOT, service, repair and used car sales business. We are based in Bolton, Lancashire, convenient for the UK Motorway network. For most of us, a car is the second biggest purchase we are going to make, we realise that you are going to want to look after it and we pride ourselves on the wide range of services that we offer. 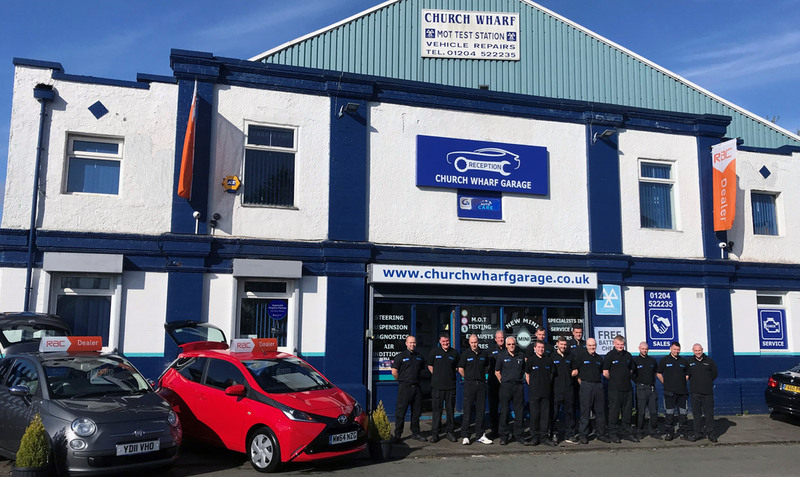 At Church Wharf Cars we specialise in vehicle servicing and repairs for all the major brands and offer service and repairs to almost any make or model of car or motorbike. We are also a used car sales dealer, providing quality second hand cars at great prices. All of our used cars for sale are at our forecourt in Bolton, we have cars by all the leading brands. Used car finance is offered at competitive rates, warranties and MOT are provided in most cases, please ask for details. Browse our used car showroom to see the full range of used cars available for sale at Church Wharf Cars in Bolton.